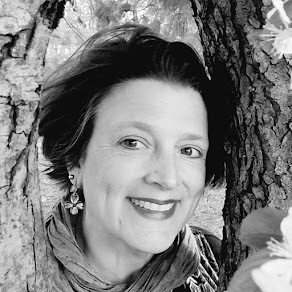 The Poem Farm: EVERY DAY BIRDS Takes Flight! EVERY DAY BIRDS Takes Flight! Chickadee wears a wee black cap. Jay is loud and bold. Finch is clothed in gold. "Beginning birding at its best..."
"A great way to expose children to the wonders of nature, many of which are in their own backyards." "[A] striking tribute to avian diversity..."
You can find out more information about the book HERE at my website. And here are three short movies that give a peek into the book's pages. You can read about Dylan's process HERE. If you are interested in the family tree for this book, you can learn about this at Kirby Larson's blog HERE. If you would like to order a signed copy of EVERY DAY BIRDS, please send an e-mail to Jen Reisdorf, Manager of The Bookworm in East Aurora, NY. For a small shipping charge, she will ship your copy of EVERY DAY BIRDS (or FOREST HAS A SONG) after I come in and sign it to whomever you wish. You can reach Jen at jen at eabookworm dot com. In celebration of today's launch, I would like to give away three copies of EVERY DAY BIRDS to commenters on this post. Please just comment with the name of one of your favorite birds (and why it's your favorite) to be entered into this drawing...winners will be selected this Friday! Too, please indicate a way to contact you should you win for if I cannot find winners easily, I will draw new names. Tonight we have a book party with live educational ambassador birds from Messinger Woods Wildlife Care and Education Center. I can't wait to see them! Congratulations, Amy. Can't wait to see this beautiful book! Looks amazing. Hummingbirds are my favorite because they seem like a miracle. I can't wait to hold this book in my hands! I love robins because they hang around my yard all winter, and they are so loyal to each other. What a beautiful book this is! Perfect for young backyard bird watchers, plus their parents, teachers, and librarians. (Can you say STORYTIME!!!) Congratulations to you, Dylan, and everyone over at Orchard/Scholastic! Oh, and my favorite bird is the Australian magpie... which USED to be an "every day bird" for me, though not anymore. 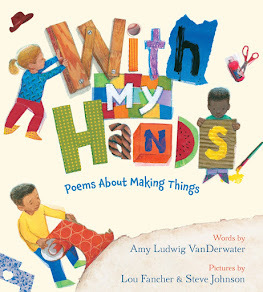 Amy, congratulations on the book that looks wonderful with those delicate illustrations. The book trailer is excellent and leads to excitement of opening the new treasure. I was fascinated by Dylan's papercutting process. Thank you for opening my eyes to the beauty of birding. I love cardinals. Had one nest right behind my back porch once. It was amazing! I have always loved the cockatoo because when I was a little girl, my grandma Ada would sing the silliest songs to me. And there was always a cockatoo in it. I think she loved the sound of the name, the playful way the vowels and consonants came together. I still sing those songs to my little ones. Congratulations on your second book's release and launch! My favorite bird is a cardinal. I love to see it dart about. I also have a strong appreciation for the robin who ushers in spring. I am looking forward to the party this evening! My favorite bird is a Polish Chicken--because I am Polish and I wish I could have a crazy hair-do like they do!!! Congratulations! This sounds like a charming book! I'm looking forward to seeing the book, whether I win a copy or not. One of my favorite birds is a native to my southwest, the roadrunner. He's easily identifiable and easy to watch...and so reminiscent of the cartoons. FB is an easy way to find me. This looks great! 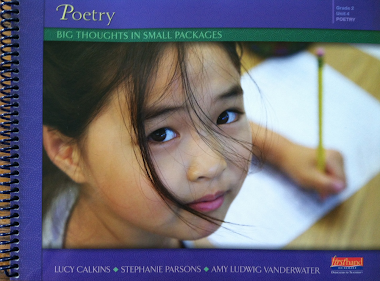 It would be a great book to share with students exploring information/ all about writing. What an amazing book! I love hummingbirds. We have a few around our feeder that we name. I'm always amazed that they can all look so different! I'm looking forward to reading Every Day Birds soon. Chickadee because it's so little and cute. I also like the little chubby brown birds who hang around in the winter. My papaw called them winter birds, but I think they're wrens. Congratulations, Amy! My favorite is the bluebird. I love to watch them nest and fledge. They come back every year and I anxiously await their return. Can't wait to read your book! Amy "Awesome Sauce" Vanderwater has struck again!!!!! My favorite is a cardinal! I love how the brilliant red color of the male dots the landscape, winter or summer! And more importantly, CONGRATULATIONS on your new book! Sandpiper....because I am immediately transported to the beach. Can't wait to read your awesome book, Amy! Amy, congratulations on seeing your creativity and hard work in print! My favorite bird is the loon. I love watching them bob for food in the lake, care for their young, and attempt wild water landings, along with hearing their unique calls that touch the soul. I just wish we had them here in WNY! 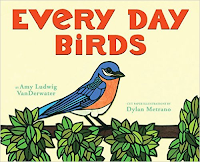 Happy Book Birthday to Every Day Birds and to you Amy and Dylan! I hope the day has been filled with celebration. I love our feathered friends so much I did my Nonfiction 10 for 10 post about birds on February 19th. One of my favorite birds is the Black-Capped Chickadee. They are so friendly. When I've been out cross-country skiing I've been able to hold out my pole and have them land on it. Thank you for hosting this giveaway. I love the kookaburra. I have never seen one in the wild, but I remember standing at the cage in the zoo as my mom sang the Kookaburra song. Then we tried to make his call and he returned the call to us. Memories. I also love Polish chickens...their crazy hair days beat my crazy hair days hands down! I can't wait to read this book to my granddaughter, Laina! I have a friend who is a bird-watcher and nature expert! I know she will love it, too. My favorite bird is the lorakeets. They are small colorful parrot-like birds. We saw them in Australia in the WhitSunday Islands. Really lovely. Congratulations and can't wait for more of your books to come out!! I am buying your book whether I win this giveaway or not!!! Hope you have more books in the works. Congrats! My father is a bird watcher and he shared his love with me during trips or walks. I love the hummingbird for its intricate beauty and the Redtailed Hawk because of the book, Arrowhawk by Lola Schafer. I am a complete and total bird nerd, so it's very difficult for me to choose only one... The first one that popped into my head is the tufted titmouse. I love their song, peter-peter-peter, and how even despite my lame attempts at mimicking, they answer me. I cannot wait to read this book--what could be better than birds AND poetry :). Congratulations, Amy!! Yellow finches are my favorite bird because they always seem busy, yet cheerful! 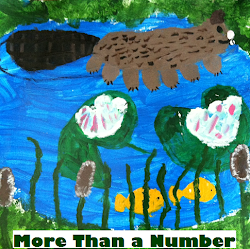 I cannot wait to share this book with my amazing fourth graders! I know the drawing is over, but I just wanted you to know how excited I am for this book (I pre-ordered months ago, but it hasn't arrived yet)! I'd have a hard time choosing my favorite bird because each time I see, or hear, a different one in my yard or on my hikes, it's my favorite! Eagles soar overhead, owls call my name in the middle of the night, the chickadees flit around the feeders, finches visit our porch and of course our chickens follow us everywhere we go! Everyday, there are new birds to marvel at. I missed the drawing but I am so enthusiastic about this book I will order it tomorrow! My favorite bird is the Red-winged Blackbird because they guard and they trill and remind me of friendly fields and meadows. 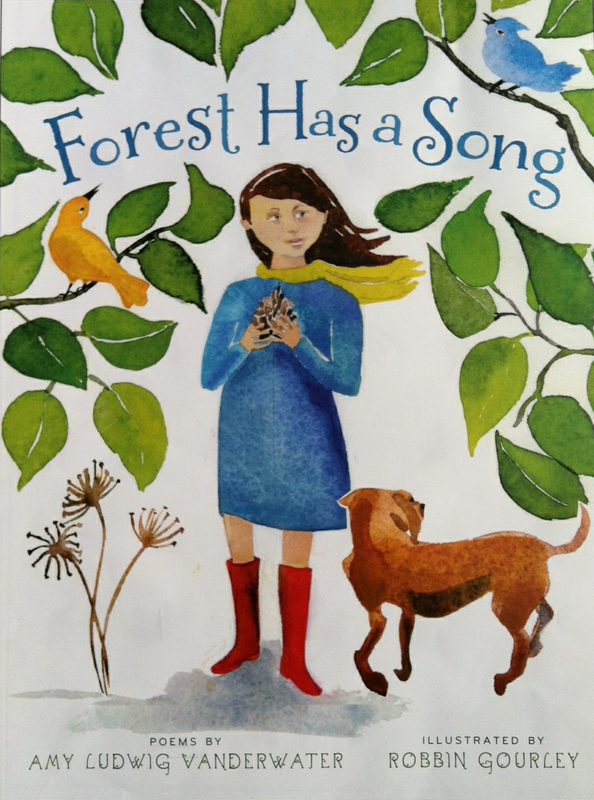 Best wishes for success with your new book and for turning children into nature lovers for life.